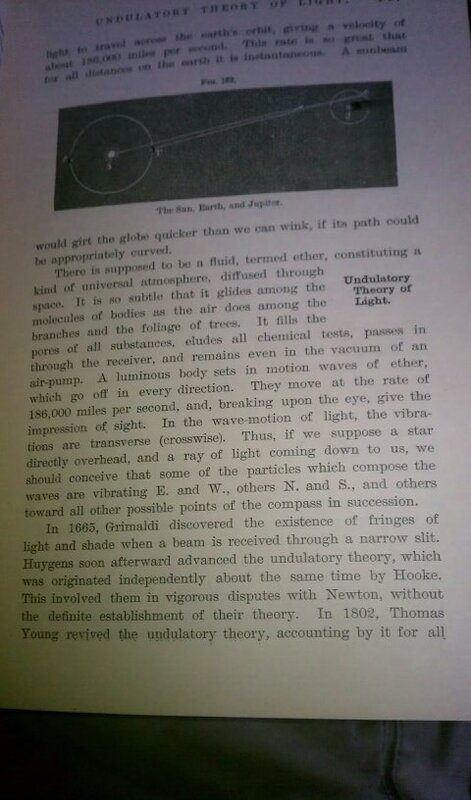 My former student Spencer passed along this image of a page from the Chautauqua physics series (from 1886) by Steele where ether is described. Amazing to read from a historical text! My mentor at Fermilab, Chris pointed out an error I had made regarding the difference in the length of arms necessary to result in destructive interference. (I had forgotten that the light travels down the arm and back!) It is now corrected.